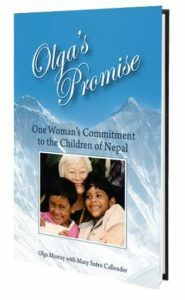 If you’ve read Olga’s Promise, you may remember “Anjita” who rolled into a fire as an infant and suffered serious facial burns. 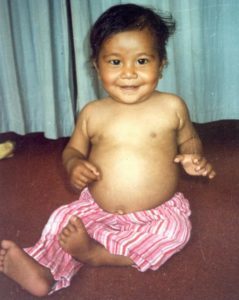 Olga brought her to the US in 1993 for surgery unavailable in Nepal. 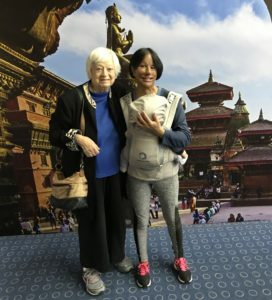 25 years later, married and with a new baby, she returned to Nepal with Olga to introduce her son to her family. In 1998, we opened the first Nutritional Rehabilitation Home (NRH) in Nepal to restore severely malnourished children to health after they were prematurely discharged from government hospitals. Twenty years later, lifesaving treatment continues at 17 NRHs across Nepal built by generous friends like you. Click to see more near-miraculous transformations of babies like Tara. 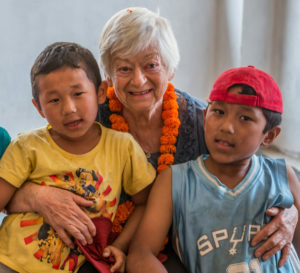 If you are 70 ½ or older, you can make a direct transfer of IRA balances to a charity like Nepal Youth Foundation to satisfy some or all of your Required Minimum Distribution. To read more stories like Durga’s (Anjita); the beginning of our nutrition program that is succeeding on a national scale in partnership with the Nepali government; the early days of NYF’s Kamlari rescue program, and so much more; check out Olga’s book – Olga’s Promise: One Woman’s Commitment to the Children of Nepal.